Neukine Injection (Generic Neupogen) is a medication used to help reduce the chance of infection due to a low white blood cell count, in people with certain types of non-myeloid cancer who receive chemotherapy that can cause fever and a low blood cell count. This medicine is given by injection into a vein or under the skin, usually once a day or as prescribed by your doctor, until the proper blood counts are reached. 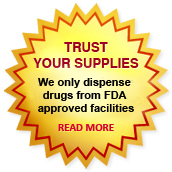 Neukine injections are manufactured by Intas Pharmaceuticals Ltd. in the strengths of 300 mcg. We supply original Neukine injection manufactured by Intas Pharmaceuticals Ltd.. The active ingredient present in Neukine injection is Filgrastim . Each Neukine injection contains 300 mcg of Filgrastim. Neukine injection (Filgrastim) is a man-made form of a protein that stimulates the growth of white blood cells in your body. White blood cells help your body fight against infection. Neukine is used to treat neutropenia, a lack of certain white blood cells caused by cancer, bone marrow transplant, receiving chemotherapy, or by other conditions. Generic Neupogen (Neukine Injection) may also be used for purposes not listed in this medication guide. The recommended starting Filgrastim dose is 5 mcg/kg/day subcutaneous injection , short intravenous infusion (15 to 30 minutes) , or continuous intravenous infusion. The recommended Filgrastim dose is 10 mcg/kg/day given as an intravenous infusion no longer than 24 hours . The recommended Filgrastim dose is 10 mcg/kg/day subcutaneous injection. The dose has to be administered for at least 4 days before first leukapheresis procedure and continued until last leukapheresis. Neukine injection should not be given within the 24-hour period before or after you receive chemotherapy. Generic Neupogen is injected into a vein or under the skin. You may be shown how to use an IV at home. Do not self-inject this medicine if you do not fully understand how to give the injection and properly dispose of used needles, syringes, IV tubing, and other items used to inject the medicine. Do not shake the Generic Neupogen bottle or you may ruin the medicine. Prepare your dose only when you are ready to give an injection. Do not use if the medicine has changed colors or has particles in it. Call your pharmacist for new medicine. Use a different place on your arms, stomach, hips, or legs each time you give the injection. Your care provider will show you the best places on your body to inject the medication. Do not inject into the same place two times in a row. Each single-use vial (bottle) of this medicine is for one use only. Throw away after one use, even if there is still some medicine left in it after injecting your dose. Do not use Neukine if the expiration date on the label has passed. Call your pharmacist for a new prescription. You may need frequent medical tests to help your doctor determine how long to treat you with Neukine. Your liver function will also need to be tested, and you may need bone density scans. Store Filgrastim injections in the refrigerator and do not allow it to freeze. You may allow the medication to reach room temperature for 24 hours before measuring your dose in a syringe. Then place the vial back in the refrigerator. Neukine injection is contraindicated in patients with a hypersensitivity to Filgrastim or any inactive ingredient present in Neukine injection. Neukine injection (Generic Neupogen) is also contraindicated in patients with a history of serious allergic reactions to human granulocyte colony-stimulating factors such as filgrastim or pegfilgrastim. Undergoing peripheral blood progenitor cell mobilization and collection (at least 5% incidence): are bone pain , pyrexia and headache. With severe chronic neutropenia (SCN) (at least 5% difference in incidence): are pain, anemia, epistaxis, diarrhea, hypoesthesia and alopecia. Get emergency medical help if you have any of these signs of an allergic reaction to Filgrastim (Neukine injection): hives; difficulty breathing; swelling of your face, lips, tongue, or throat. • signs of infection such as fever, chills, sore throat, flu symptoms, easy bruising or bleeding (nosebleeds, bleeding gums), loss of appetite, nausea and vomiting, mouth sores, unusual weakness. Acute respiratory distress syndrome (ARDS) : Evaluate patients who develop fever and lung infiltrates or respiratory distress for ARDS. Discontinue Generic Neupogen in patients with ARDS. Serious allergic reactions, including anaphylaxis : Permanently discontinue Generic Neupogen in patients with serious allergic reactions. Fatal sickle cell crises: Have occurred in some patients. Glomerulonephritis: Evaluate and consider dose-reduction or interruption of Generic Neupogen if causality is likely. Filgrastim has been classified by the US FDA as Pregnancy Category C. There are no adequate and well-controlled studies conducted in pregnant women. The potential risk to the fetus is not known. Studies in conducted in animals (rats and rabbits) regarding effects of Filgrastim on prenatal development have not revealed any malformations. Filgrastim has been shown to have adverse effects in pregnant rabbits at doses 2 to 10 times higher than the human doses. Filgrastim injection should be administered during pregnancy only if the potential benefit justifies the potential risk to the fetus. Do not use this medicine without your doctor's consent in case you are pregnant. Stop using this medication and inform your doctor immediately if you become pregnant during treatment. Do not use Filgrastim injection without telling your doctor if you are breast-feeding a baby. You can buy Generic Neupogen injections online from Clear Sky Pharmacy at a cheap price. Neukine 300 mcg injections, manufactured by Intas Pharmaceuticals Ltd., India are supplied in a box of 1 vial. The 300 mcg injections cost only $46.70 per unit when you place an order for 10 injections.